Home » » Popular Columnist, Reuben Abati Emerges Running-mate Of Ogun PDP Guber Candidate. 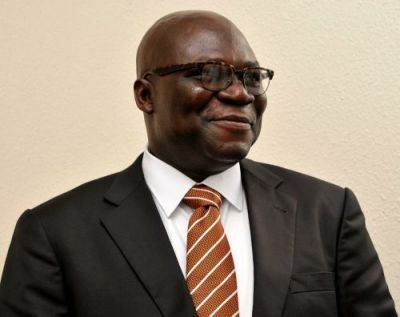 Popular Columnist, Reuben Abati Emerges Running-mate Of Ogun PDP Guber Candidate. Former Ogun state Governor, HE Otunba Gbenga Daniel is for the Senate, Ogun East and all other candidates for the Senatorial, Federal house of Representatives and the State House of Assembly were equally accepted and duly acknowledged. “Any rumours being peddled around by our National Chairman and National Publicity Secretary through a purported press release should be disregarded as the duo are deliberately acting unlawfully and beyond their powers to which they’ve refused wise counsel to tow the path of rule of law. The guarantee of our democracy under established regulations and rule of law is that no party official, no matter how highly placed could use the office for selfish preservation/promotion of his own interests and legacy at the detriment of the interests and legacy of other party members. This resolve to act with unchecked impunity shall be fully resisted in a fight to finish battle to strengthen our party’s internal democracy. “Ignorantly, the National Chairman is unaware that where there is dispute resulting into a judicial resolution as in Ogun state matter, the State Chairman and Secretary could sign in place of National Chairman and Secretary when backed by validly subsisting court judgements. Whatever makes our National Chairman to be this resolute at challenging the constituted electoral regulatory body, INEC and also dwelling in nauseating impunity against Nigerian court judgements out of unexplainable desperation to install Ladi Adebutu as PDP Ogun governorship candidate should as well have forced him to create his own INEC and conduct elections inside his office. The PDP as a Nigerian creation by law is for all Nigerians by established regulations and National statue; nobody can as such intimidate us in our democracy. “All the state elders, leaders and party faithfuls are again enjoined to continue and remain focused on the ongoing aggressive mobilisation and reconciliation efforts for our party,PDP to come out victorious in the forthcoming elections. I’m emboldened by the power and grace of almighty Allah and shall never succumb to injustice. God bless you”, he said . When contacted last night, Abati confirmed his choice as the running mate in the PDP. He said ” Yes, i am aware. i can confirm . It is true”. However, attempt to reach the former governor for his comment was unsuccessful as he could not be reached.